It is no secret that the U.S. immigration process is rife with complexities, dense paper work and a number of procedural requirements. As such the potential for errors, mistakes and setbacks is significant. If you, a family member or an employee are looking to navigate through an immigration-related matter with the U.S. Citizenship and Immigration Services (USCIS), then you can better equip yourself with the information, assistance and genuine advocacy you need by work with the US immigration lawyer in London from the American Immigration Law Office LTD. The U.S. immigration lawyer at the firm, Ioana Hyde, is an immigrant herself, and she has successfully overcome the challenges of the U.S. immigration process. She knows what it takes to achieve positive results, and she can assist you in fulfilling your goals and desires. The firm strives to obtain excellence by providing top-notch legal counsel at an affordable price. Attorney Hyde is an experienced trial lawyer and a strong legal advocate for her clients, known for achieving positive outcomes. Looking for a U.S. immigration lawyer in London? One of the most distinguishing aspects of this firm is that it enjoys unique insight into the U.S. immigration process, having had personal and professional experience in USCIS proceedings. The firm is prepared to handle a variety of issues and cases, bringing a level of genuine commitment that is rare to find in the industry. The attorneys provide efficient service with a personal touch. 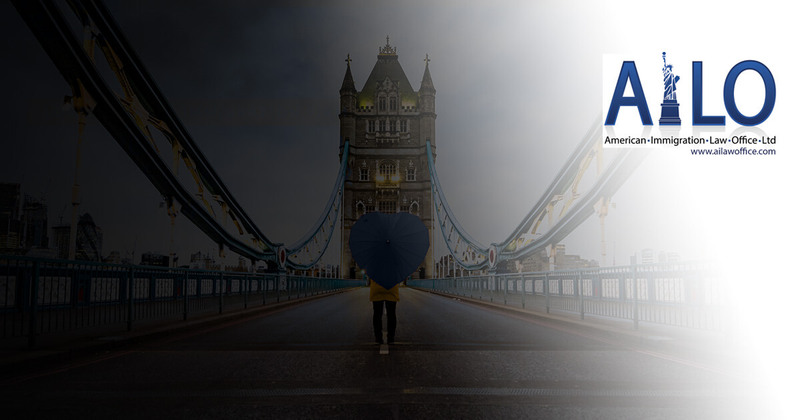 You can contact the London firm directly at +44 (0)208 611 2826 or send an email to learn the ways in which American Immigration Law Office LTD can be of assistance to you as you begin your immigration journey. Denied a U.S. Visa or U.S. Entry? If you're facing issues of inadmissibility, our law office can help. Married or Engaged to a U.S. Citizen? Learn how you can immigrate to the USA with an award-winning firm. We seek to deliver the highest level of service at competitive rates. Attorney Hyde is well-versed in family-based immigrant visa applications and non-immigrant visa applications made at the U.S. Embassy in London, including matters of non-immigrant waivers of inadmissibility. She is fluent in English and Romanian and speaks intermediate conversational Spanish. Attorney Principe focuses on corporate immigration law, helping individual clients, start-ups, and multinational companies with matters of employment-based immigration. Ms. Principe practices US immigration law in Wisconsin and is available for telephonic consultations. At American Immigration Law Firm LTD, our attorneys can not only help you with concerns related to your immigration status, ESTA, and other common immigration-related questions; but also help with more complex issues such as non-immigrant visa applications and drug violations. To learn more about such issues, we recommend reaching out to our firm to set up a consultation. Registered Office Address 88 Wood St. The information on this website is for general information purposes only and may constitute 'attorney advertising' under applicable law and regulations. Nothing on this site should be taken as legal advice for any individual case or situation. This information is not intended to create, and receipt or viewing does not constitute, an attorney-client relationship. The Supreme Court of Washington does not recognise certification of specialties in the practise of law and membership in the American Immigration Lawyers Association is not a requirement to practice law in the State of Washington. The term "immigration lawyer" does not state or imply a specialisation in US immigration law, but instead denotes the field of law in which the attorney practises. Washington has no procedure for certifying the expertise of lawyers admitted to practice in Washington State. This firm is not regulated by the Solicitors Regulation Authority. American Immigration Law Office LTD is a private limited company registered in England and Wales with registration number 8289804.